A student recently contacted us without the usual question of a placement or the opportunity to come in and have a portfolio review – she wanted to discuss gender inequality within the creative field. As a studio that is predominantly male (75/25 split) we are often discussing the gender issues which surround the design industry and there were no shortage of views around the question when posed to the female members of our studio, as well as our creative director, Rob. We don't profess to have all the answers but we thought it would be interesting to share our personal thoughts around the subject and hopefully open up a bit more of a debate. Do you think that there is a gender inequality in the creative field? Gender inequality is a undoubtedly an issue within the creative industries – one of the main barriers being family planning. The nature of a lot of agency work can be high-pressured, late nights, unpredictable etc. and women can sometimes be put off by it or forced out because 'they can't keep up with the pace'. Secondly, smaller agencies perhaps don't have the financial stability or workforce to let women, and men, have time away from their jobs to bring up their families. Another issue is once women have reached Senior Designer level the next step is to move into management or become a Director and women are often overlooked for those kind of roles in all areas of work. Women often don't push themselves for these positions because they suffer from impostor syndrome (that 'I shouldn't be here' and 'sooner or later someone's going to catch me out as a fraud' sort of feeling). This can be linked to the fact that women arrived in the workplace a lot later than men – it's only in the last 30 years really it's been socially acceptable for a woman to work after having kids. Being a female in a senior position without being stereotyped as 'bitchy' or 'pushy' is also a barrier for women who want to climb the ladder in design. There are amazing women out there in the creative world such as Jenna Lyons who are helping to break this image as well as initiatives like Sheryl Sandberg's #BanBossy campaign which aims to improve the situation for young girls and women across business. We also feel that there's a real 'poster girl syndrome' within the design industry where a handful of female designers are rolled out at events and in articles – all very talented – but you can guarantee that their appearance and bodies are devoted at least a couple of sentences amongst the discussion of their work, which just doesn't happen to male designers. In your experience as a Creative Director, do you think that women have a different approach to design than men? I don't see a different approach. Obviously, individuals are different, but I don't see a different pattern between genders. Do you think they are less likely to be vocal about their work? Speaking from my experience here at Raw, we have two women who play a big part in the creative process and neither of them are afraid to speak up and express how they feel about an idea and they are as good as any two young creatives I've worked with. Both these women are extremely good at what they do and at young ages I'm already seeing potential future leaders. That gives me a tremendous amount of confidence for the future. For me it all comes down to the environment that is created – if you are in a place where you feel comfortable to be yourself then it doesn't matter who you are, you'll find your voice. As a side note, we really feel that we need to address the feminine/masculine balance within the industry - and this includes both male and female attitudes and behaviours. 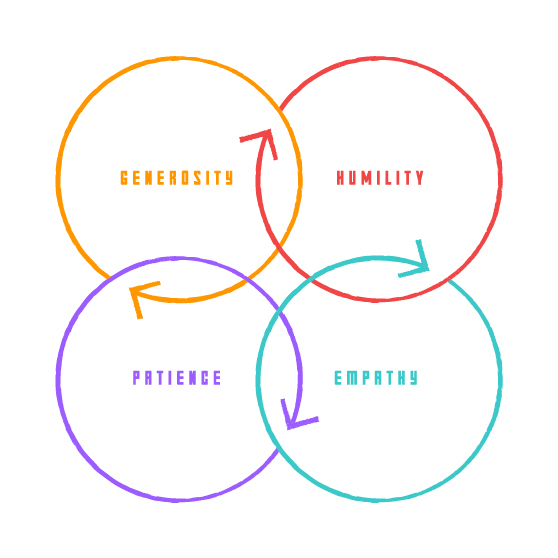 Qualities like empathy, humility, generosity and patience are the characteristics which facilitate a healthier working environment and ultimately lead to better work. This is the only way we are going to combat the challenges we have in the world today. As this happens, and I believe it is, then then we should see a big shift in the design world and in every other area of life as well. If you want to carry on the conversation be sure to tweet us @weareraw.